We’ll meet at the Fullerton Courthouse at 8:00 a.m. (near the intersection of Brea Blvd. & Harbor Blvd….behind the Ralph’s) 1275 N. Berkeley Ave. Fullerton, CA 92832. It has been our yearly tradition to begin Thanksgiving day with a morning run at the Fullerton Loop. This year, Brittany’s Up and Running Again group will also be running there and we decided to join them. Up and Running Again is a non-profit group that helps homeless individuals train for a half marathon. Brittany asked that we rsvp on the evite site below since they want to plan for the amount of refreshments they will need. Yay HELEN H!!! Helen completed her 16th 3-Day Walk this past weekend. 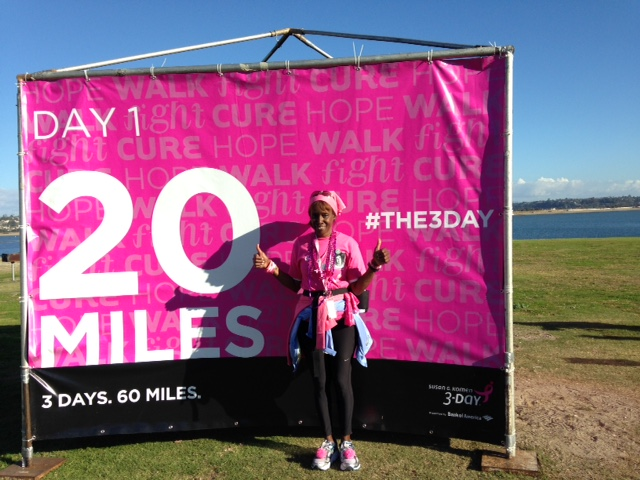 Helen personally raised over $5,000 for the Susan G Komen organization and the fight against breast cancer. You are awesome, Helen! Happy Birthday KATIE!!! Katie’s birthday is on Friday. We hope that you enjoy your special day! Thanks Julie! It’s been an awesome birthday so far. Happy thanksgiving runners! Same here. Hope to be back to running again soon!